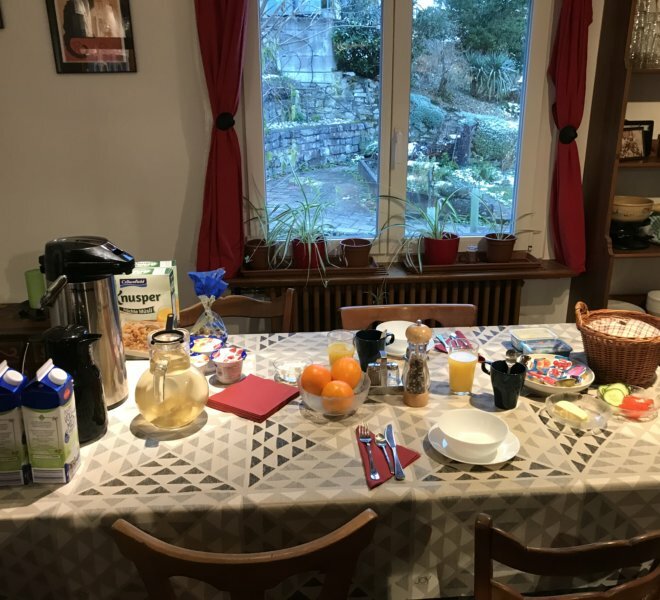 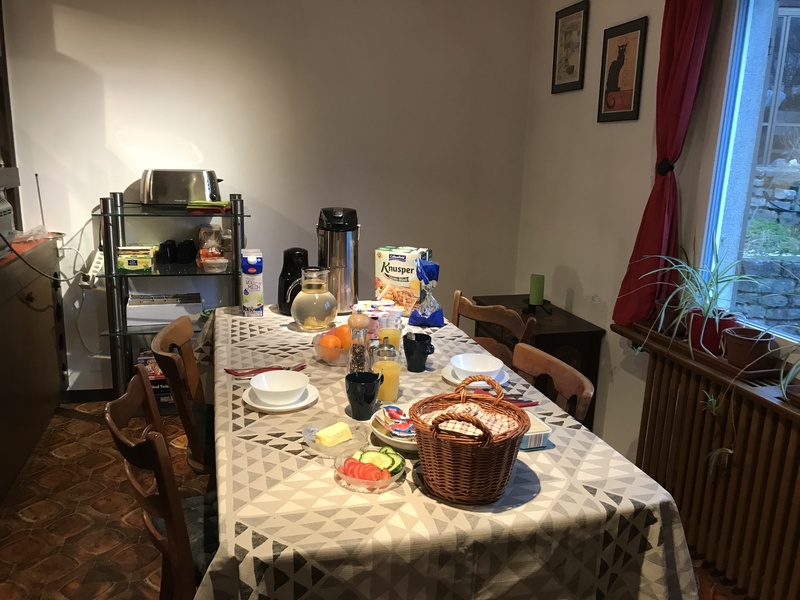 To start your day off right, your Breakfast at BnB Obermumpf is set out upon the dining table once you arrive downstairs in the morning. 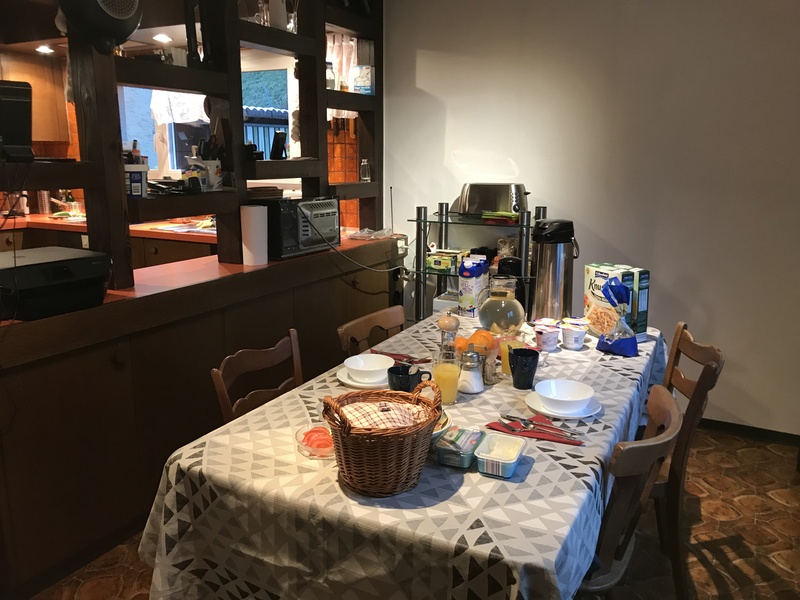 Our rustic kitchen has a large table that can seat 10 comfortably with a superior view to our vineyards, vegetable garden and surrounding mountains. 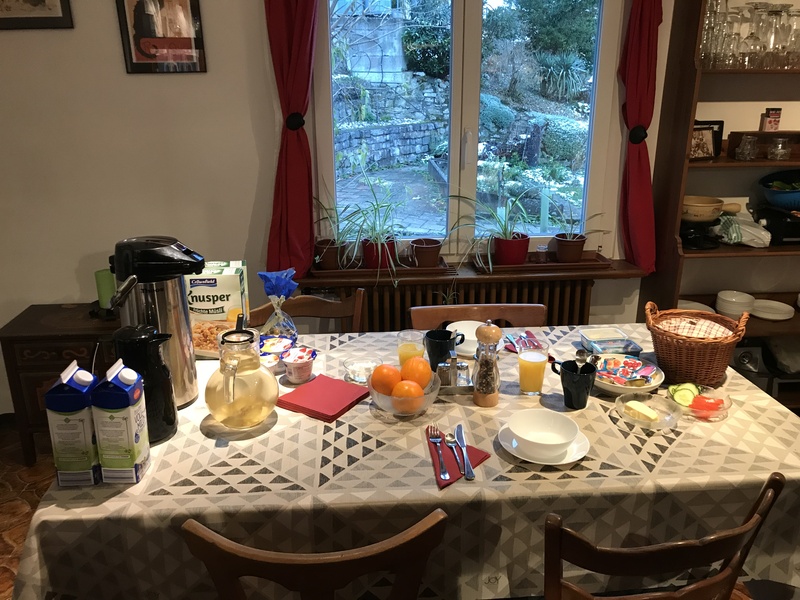 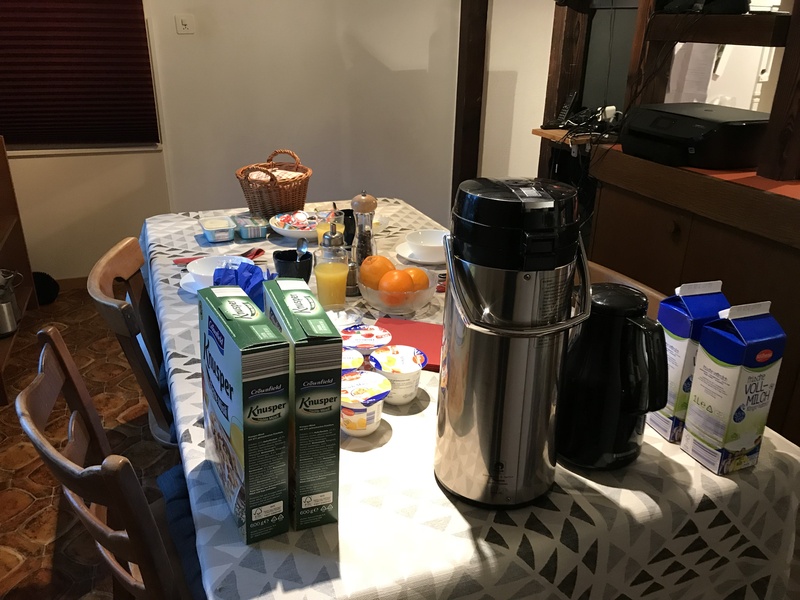 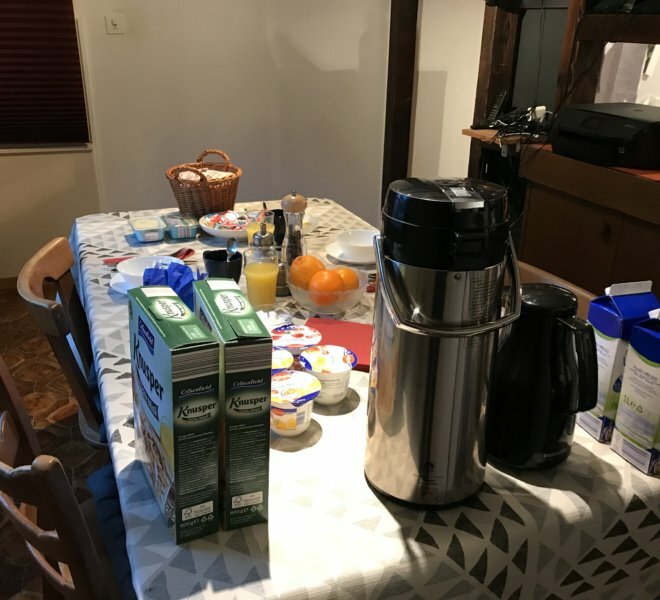 The smell of hot coffee and freshly baked croissants & breads fills the air each and every morning at Bed and Breakfast Obermumpf… The owner Dave thrives on coffee in the morning so the pot of coffee is never empty! 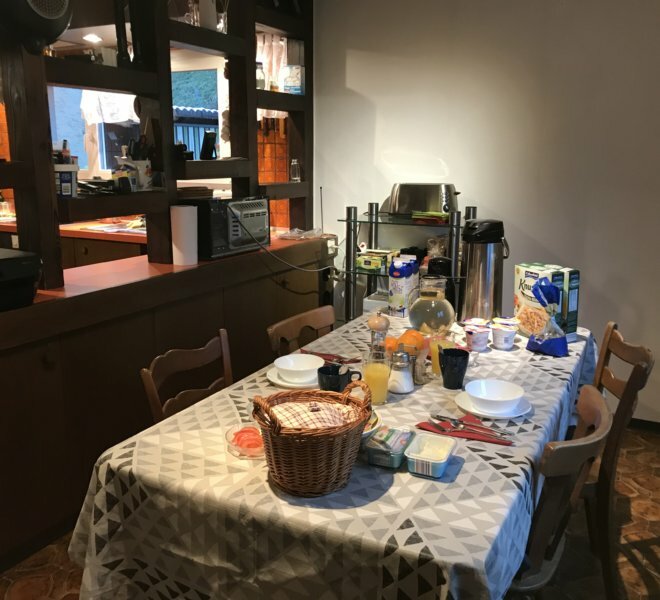 According to your wishes arranged the evening before, every guest will leave the breakfast table satisfied and smiling. 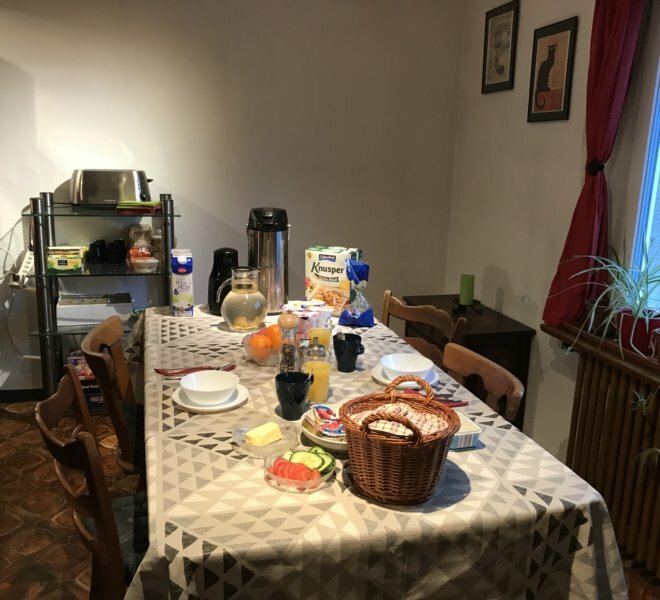 Your breakfast after bedding down for the night offers an array of Healthy, Fresh Foods Only! 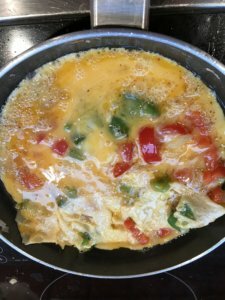 Eggs & Omelettes Anyway You Like!